At Gwladys Street in year 1 to 6, we follow the Liverpool Local Authority plans which are linked to the New National Curriculum. 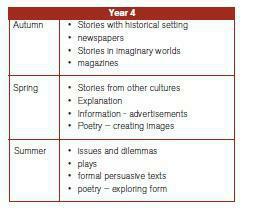 The year groups have Block units to teach the skills of the National Curriculum through different genres for each year group. Children have the opportunity to embed their skills through Science and the International Primary Curriculum on an afternoon by reading and writing different text types. We have many different ways to support children with their reading and Robbie the Reader is our way of reminding us to read for pleasure. Reading stories happens daily across school from FS1 to Year 6. Teachers read a range of books and use a website from Year 2 to 6 called Fiction Express to enable children to decide where they want to go next. 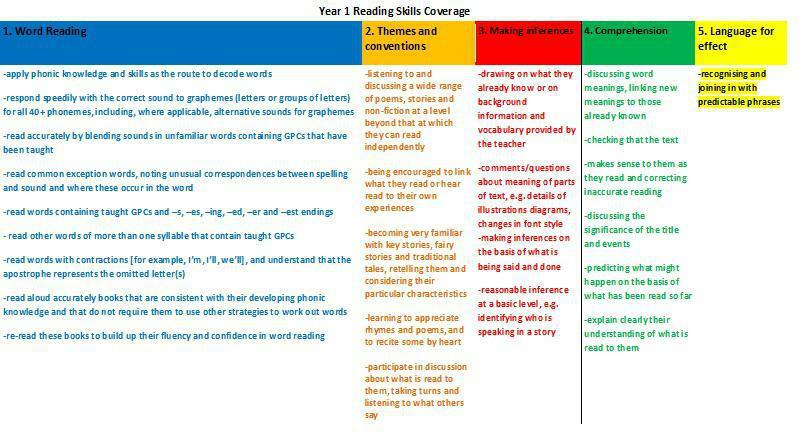 Comprehension skills are taught through shared reading, guided reading, story time, discreet lessons as part of an English unit and half termly assessments to support teachers to embed the next steps of learning. 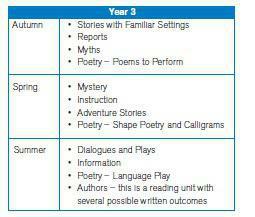 Please ensure your child brings to school their reading book and reading journal daily. 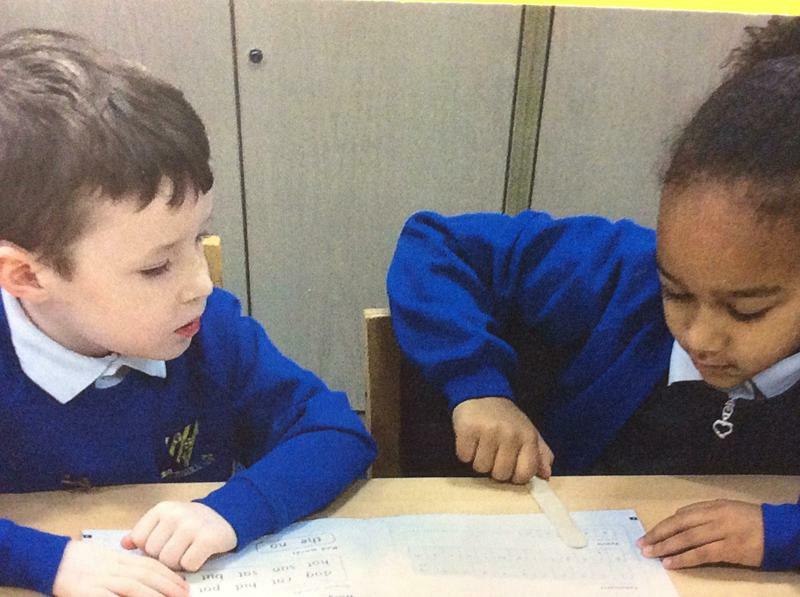 Early reading skills at Gwladys Street. 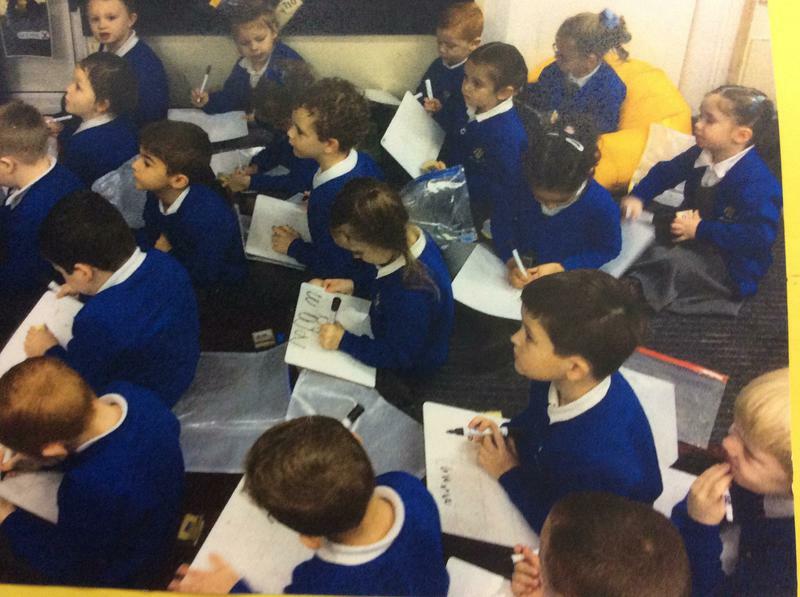 At Gwladys Street Community Primary and Nursery School we use a synthetic phonics programme called 'Read Write Inc' produced by Ruth Miskin from reception up to year 3. Across the country RWI has proved to be a very successful program helping all children to reach their potential and to become fluent and confident readers. The sessions take place every day in small differentiated groups. During the half an hour lesson, the children recap on sounds they have learnt, are taught to recognise, read and write a new sound and work with a 'perfect partner' to read a book pitched at their level with expression. All children are assessed every 6 weeks in order to ensure that they are moved to the correct groups with the right level of challenge. 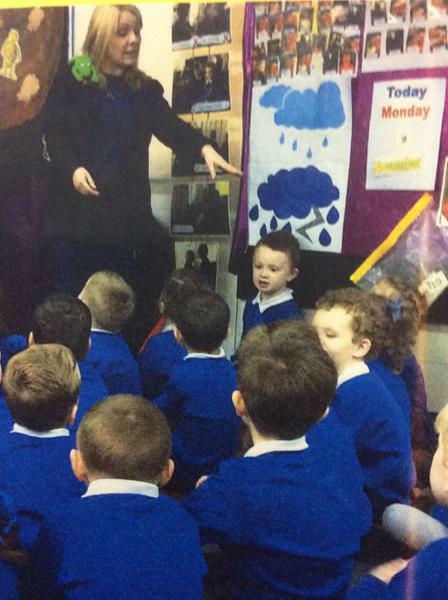 We began using the program in September and all staff and pupils have taken to it with enthusiasm. 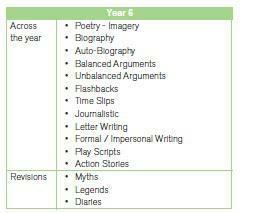 Once children reach year 4, they are reassessed and are entered into our Fresh Start programme. 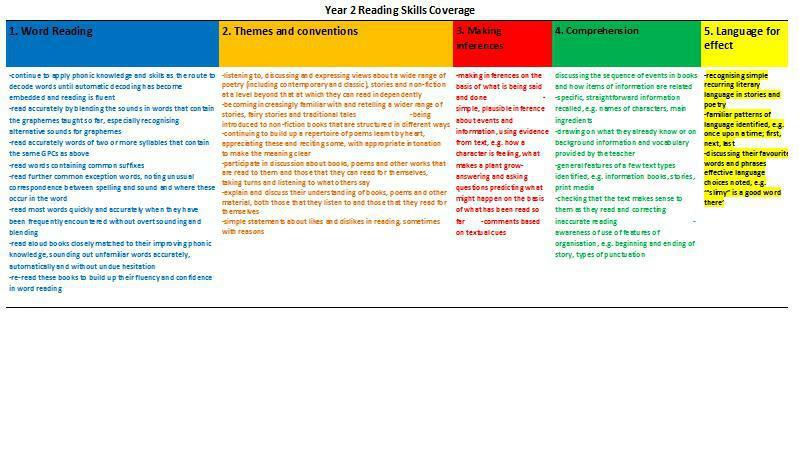 Ruth Miskin formulated this intervention to engage children with age appropriate anthologies which, like Read Write Inc, embeds all learning through partner practice. Children are assessed every half term to ensure that they are in groups which support and challenge them appropriately. These groups help the children to improve in confidence and fluency when reading at a very rapid rate. 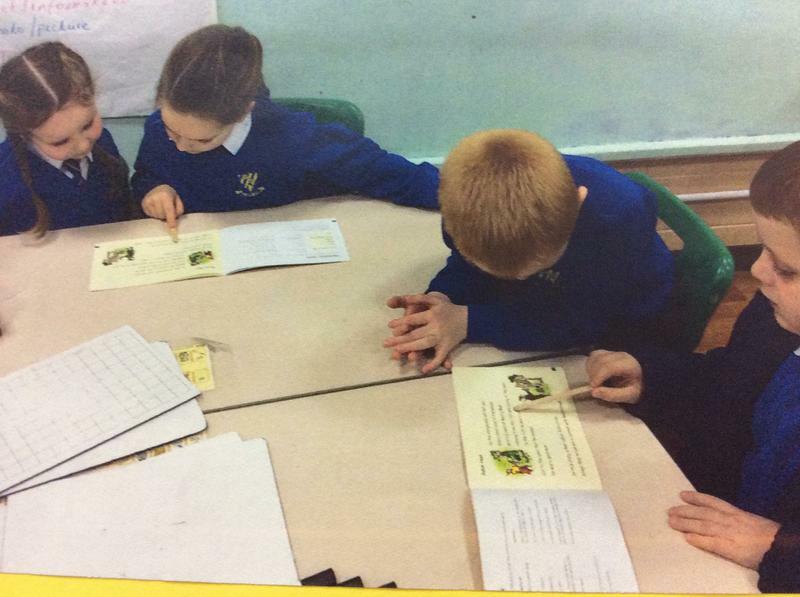 Twice a week all children take part in an RIC reading session. 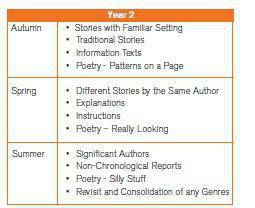 These are whole class reading activities that are differentiated for each group's needs. These lessons always start with a 'hook' to engage children's interests. This could be a poem, a book cover, a short text or even a film clip. 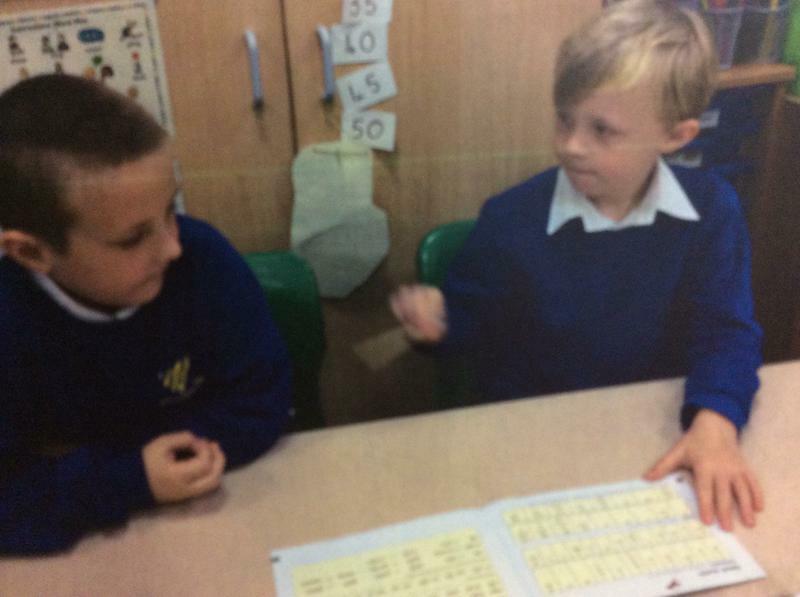 This is then discussed between partners before children are given a short amount of time to answer questions which encourage them to analyse the resource in order to answer comprehension and inference based questions. 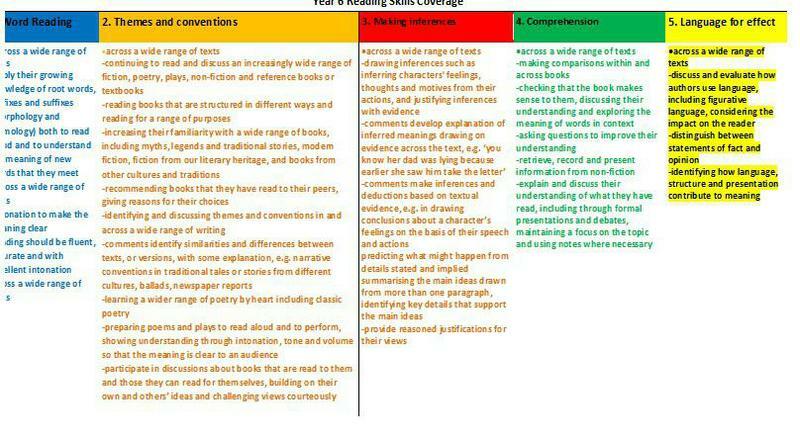 The children then tackle their differentiated activities which are all based around the same theme and are often linked to the previous resource. These sessions help the children to to develop their reading and comprehension skills further by reading a variety of texts, decoding words, introducing new vocabulary, independent reading and analysing texts. RIC reading sessions encourage children to read a wider range of reading materials such as poems, comics, play scripts, non fiction, fiction and many more. GPS is taught daily through discreet lessons, homework, shared reading and writing, guided reading, International Primary Curriculum and Science. Teachers encourage children with their speaking so they use the correct grammar to support them with their writing. Teachers use regular tools to assess the children's learning and plan for next steps such as the weekly Grammar Hammer assessments which highlight the next steps for each class. 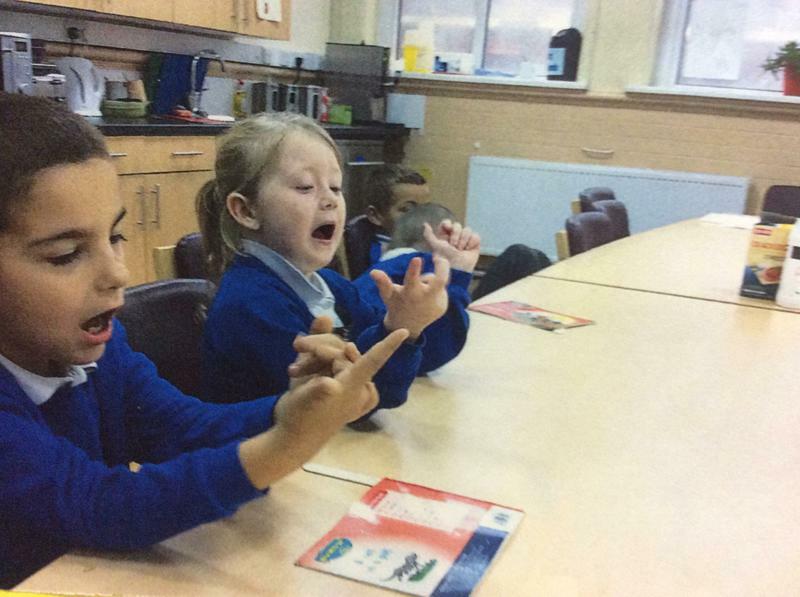 From FS to year 2 children have daily phonic sessions using Read Write Inc to introduce them to new sounds and vocabulary and those children identified as needing extra support in year 3 to year 6 are given Fresh Start phonics training. Reading to and with your child daily for at least 10 minutes a day discussing characters, scenes, predicting what might happen next and looking at what vocabulary is in the book. Visit the library as often as you can. Model reading to your child. Your child is more likely to be a good reader if they see adults modelling it. Working with children how to spell words, use mnemonics (each word at the start spells the word) such as beautiful (Bad Eggs Are Useless, Taste It For Uncle Liam), finding patterns, understanding what prefixes mean, exploring root words - eg. if the root word is understand, what other words can we make. Spelling activities Different spelling games to support your child.